Kick starting a 74-inch motor with 7.5:1 compression ratio is one thing; kicking a healthy 93-inch motor is quite another. Our kicker covers are designed with structural overkill to handle the bending forces imposed on that kicker shaft when the weight of your body on that kick pedal has a fist fight with the gods of spark and combustion. 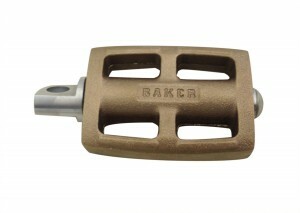 BAKER manufactures several kicker covers and supplies different kicker covers. The S&S replica cast covers were modeled off of the original 1936 but structurally built up on the inside for strength around the kicker shaft. Images on the right shows the web thickness more than double from stock. Also to ensure for wear resistance on kicker components and the longevity of the cover, all covers have a 1-piece kicker bushing instead of the stock style 2-piece setup. The seal is moved to the outside so the entire kicker shaft stays lubricated. 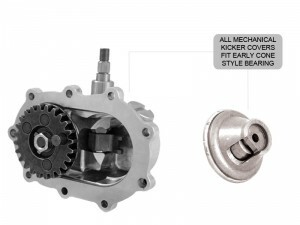 All BAKER kicker covers come with our Klassic Kicker Gears standard; unless you are using an Electric Start cover. 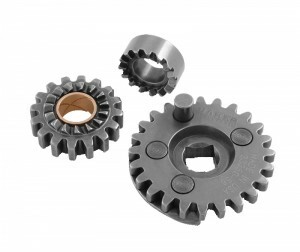 These gears are made out of 1018 HR Steel, tumble finished to around a 20 micro and heat treated to 50-55 RC; these gears roll smooth as glass. All hydraulic covers use a 1.5″ piston, this requires the use of an 11/16″ bore master cylinder (Clutch Perch) in order to function correctly. 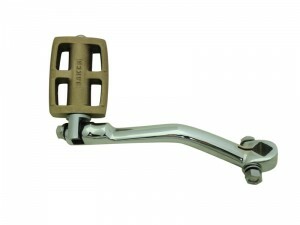 The Covers are threaded to fit a 3/8-24″ banjo bolt, 10MM sized banjo and washers. BAKER recommends the use of Dot 5 synthetic fluid only. All BAKER Mechanical Kicker Covers fit the early cone style throwout bearing from 1936-E75. 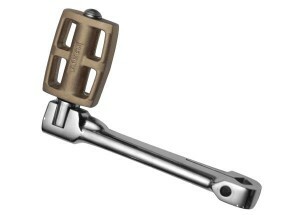 – All part numbers above do not come with a kicker arm assembly unless it is for a complete transmission build.